$317 Cost per credit is calculated using tuition per credit for the current academic year. It does not include associated fees, course materials, textbook expenses, and other expenses related to courses. 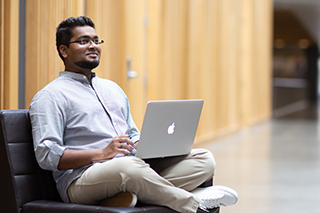 Oregon State University's business administration degree program online will help you become a profession-ready student who can provide innovative solutions to complex, global challenges. Featuring curriculum that is taught by faculty who have vast experience in each area of study, this program focuses on innovation, entrepreneurship and experiential learning. The business administration degree is offered by OSU's AACSB-accredited College of Business and is delivered 100 percent online by Oregon State Ecampus. The general business option is not offered on the Corvallis campus at Oregon State. All classes are developed by Oregon State's renowned faculty, who are known worldwide for their research, expertise and innovation.